There's giant lantern displays, the scary Krampus, Kentucky Fried Christmas, roller-blading and a spectacular fireworks show. Christmas is celebrated in many countries right across the world. Naturally different countries have different traditions. Some are lovely, while others are just plain scary. Here we learn about the Giant Lantern Festival in the Philippines, the even scarier side of "naughty or nice" in Austria, a Kentucky Fried Christmas in Japan, Christmas roller-blading and a Cavalcade of Lights. Ligligan Parul Sampernandu is held on the Saturday before Christmas Eve each year in the city of San Fernando in the Philippines. The city is known as “The Christmas Capital of the Philippines” as the festival draws spectators from all over the country, as well as the world. 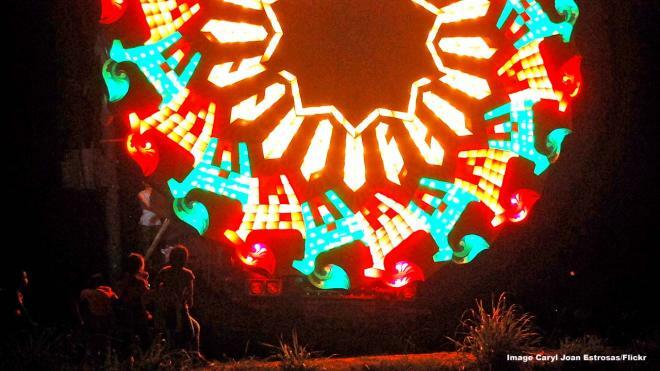 Eleven villages (barangays) take part in the competition, vying to build the most elaborate lantern. The word “parul” comes from the Spanish word “farol” meaning lantern. Santa isn’t the only one who knows who’s been naughty or nice. Austria’s version of the Grinch is Krampus, the evil accomplice to St. Nicholas. Each year Krampus roams the streets, with clattering bells and chains, scaring the kids and punishing any that have been bad. Austrian legend speaks of Krampus capturing children and taking them away in his sack. 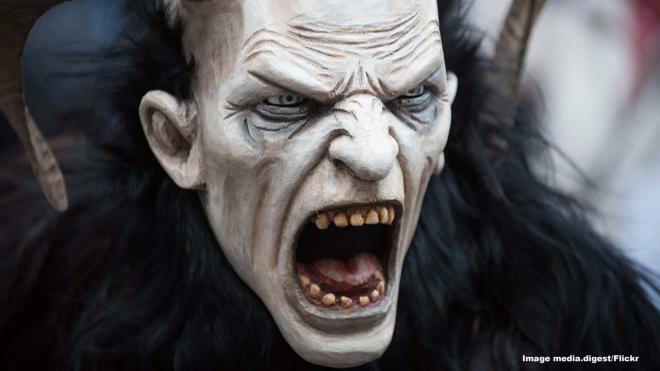 Young men dress up as Krampus during the first week of December each year and especially on the eve of St. Nicholas Day.